Wild boar were on the menu for me today, so I decided to go out and shoot a few. With my camera of course! Before I ventured out I watched a programme on CH5 called Rogue Raiders. 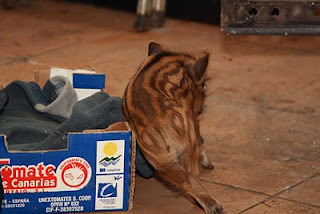 It was about the wild boar in Britain. 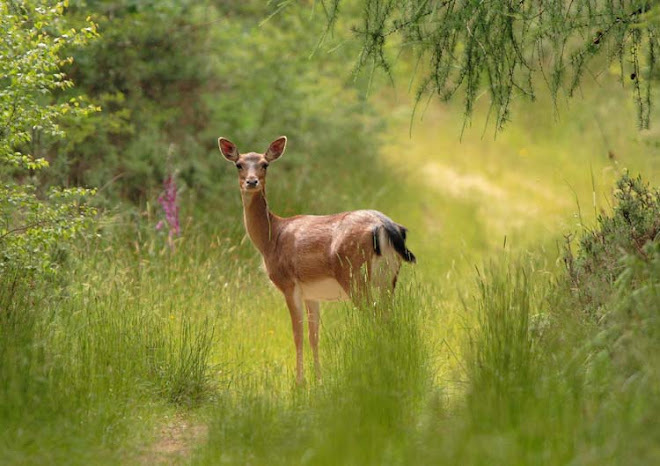 I won't go into detail, but the final conclusion was that we have more to fear from illegal poachers discharging firearms in our forest than we have from wild boar. 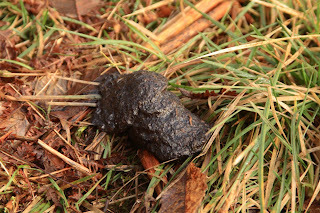 I didn't have to go far before I picked up on some tell tale signs that boar were or had been in the vicinity recently. This looks messy, but given time it will settle back down and will actually help with the regeneration of the soil. What happens when you dig your garden? You are turning the top soil. I am no gardener, but I do know that billions of gardeners worldwide don't do this to make the soil look pretty! They have had a good root around this tree stump. Probably looking for acorns and worms etc. 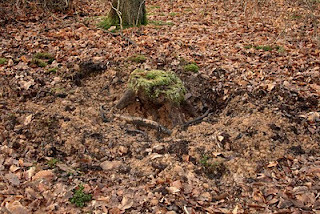 How did I know the wild boar had been here recently? This is fresh, that's how. 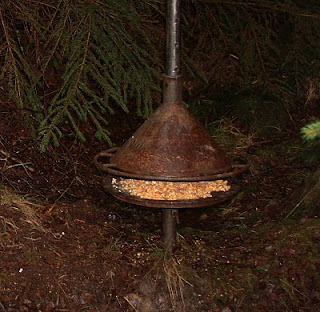 This is a feeding station. Set up to monitor the wild boar. Property of DEFRA. Didn't find one, not one. They were too elusive today! However, I did have another trip on the agenda! 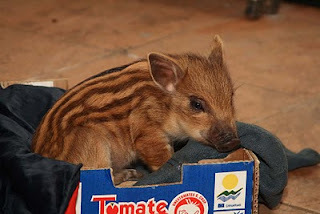 Recently a wild boar piglet was rejected by her mum. Sad, but these things happen. 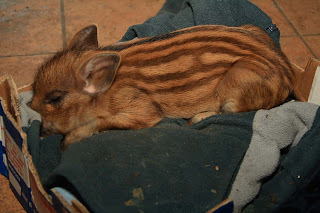 Wild boar piglets are weaned at 3 months old and this girl is only a couple of weeks old, so she was very lucky to be found wandering around on her own. Thankfully Alastair Fraser voluntarily offered to help by taking her in. Alastair already looks after a blind adult boar called Stevie Wonder at his farm near Alvington, so taking in a piglet was no bother to him. Her name is Ella, she is very mischievous and very, very cute. I think she likes tomatoes! 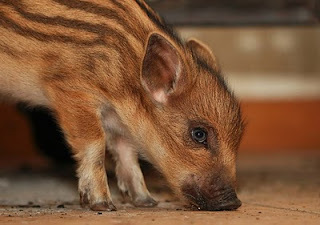 Always a good boar in your writing. 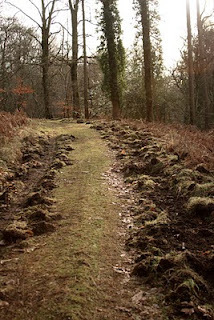 Wild Boar Cull - What Cull! 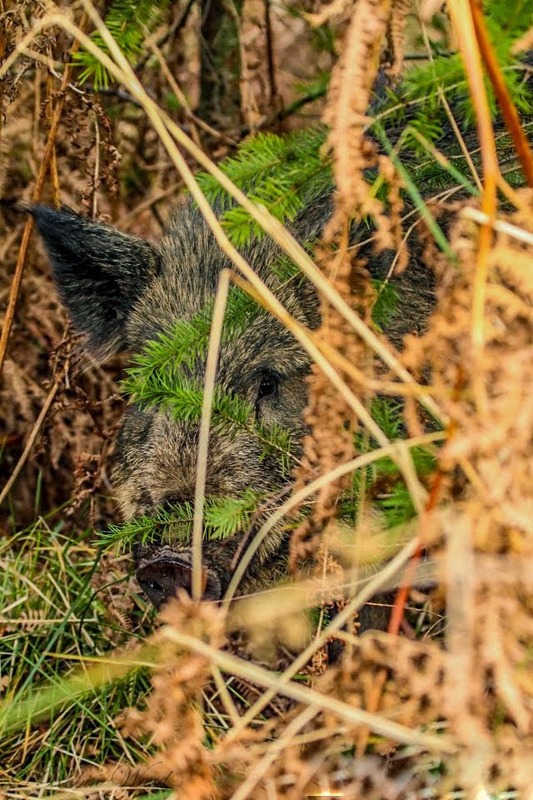 Wild Boar To Be Culled!